We have been reading Way Back Home by Oliver Jeffers in which a boy takes his plane to the moon where he meets an alien. The alien wanted to go on a space walk but his space glove had a hole in it. The children had to think of ways to mend it and ways to test if it was airtight. We decided to test the glove using water as, ifwater leaked through, then the glove would not be airtight. 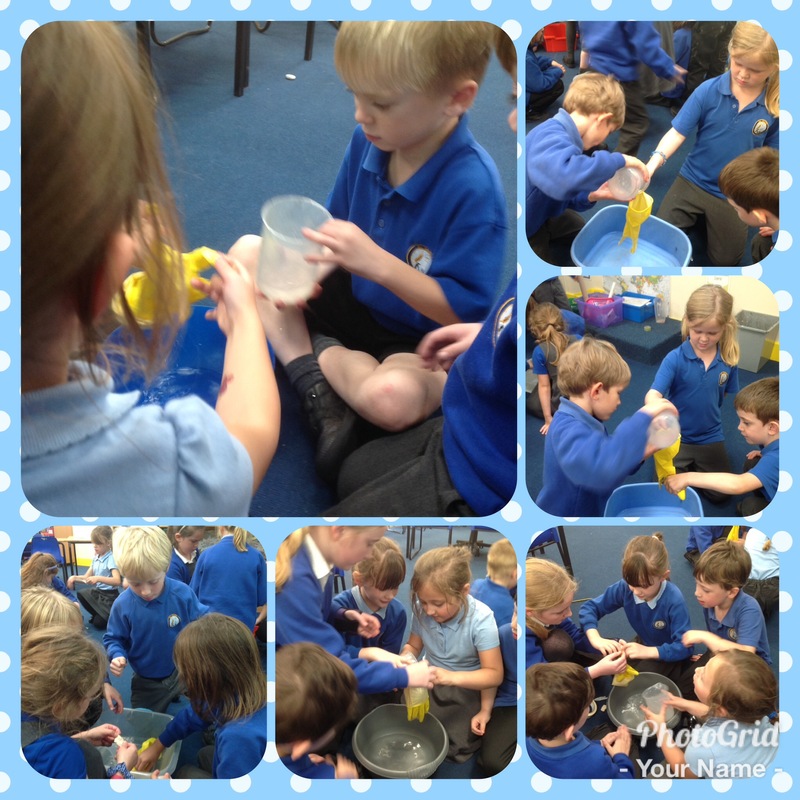 The children had great fun testing the strength of plaster, sellotape and masking tape. They worked well in their groupsas discussing their reasons why the glove still leaked. Next Post Year 6 at Norwich Cathedral.